Your salutatorian speech is just another exam or chance to succeed and make your teachers proud once again. You have a lot to share, so stop worrying about your speech examples and take some guidance from these examples. This is your big day, so take pride of your achievements, decisions and the lessons you learnt for the future. 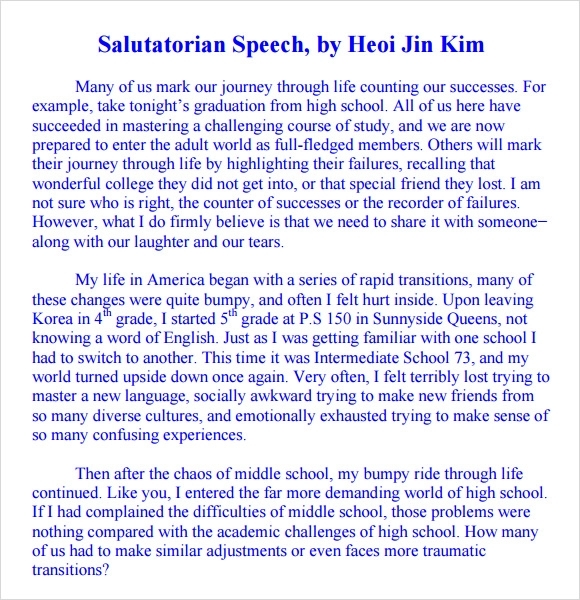 So, download these free examples of salutatorian speech templates and introductory speech examples available in both word and excel format. 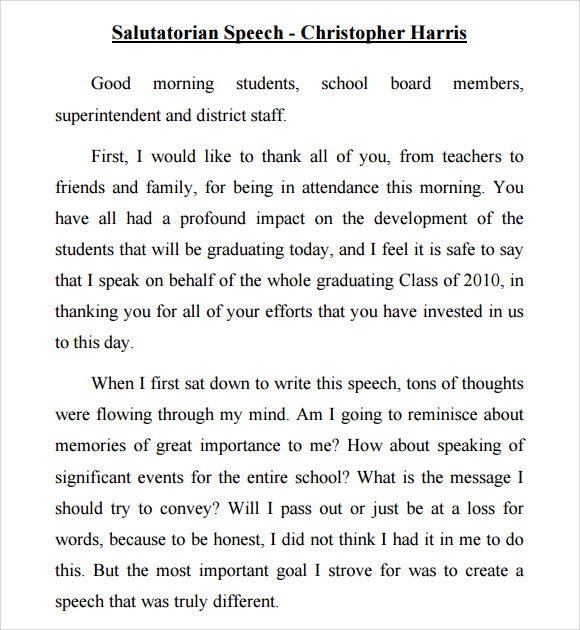 You can also print the salutatorian speech templates and attach them to your speech and impress everyone by adding some interesting parts to it. 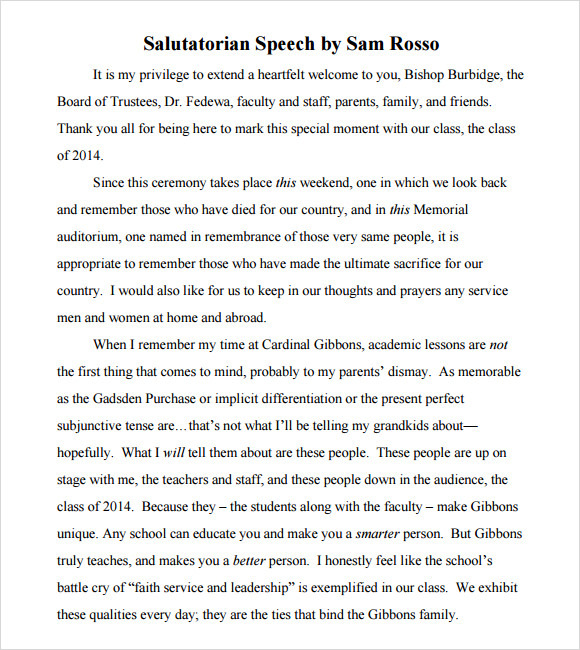 This is a salutatorian speech sample from a person called Sam Rosso. The speech starts with him thanking the faculty and board of trustees along with his parents and near ones. Then he goes on to express his feelings on the day.You may also see speech writing samples. 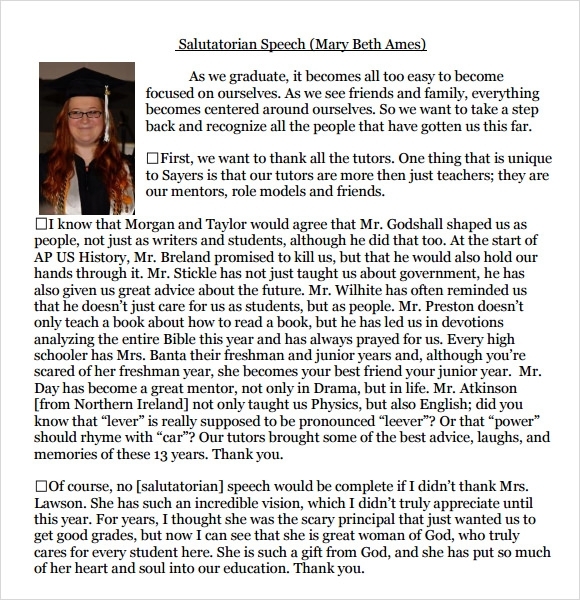 Why Do You Need Salutatorian Speeches? Generally a salutatorian speech is organized on the occasion of graduation of a batch of students from high school to college, or higher institutes. 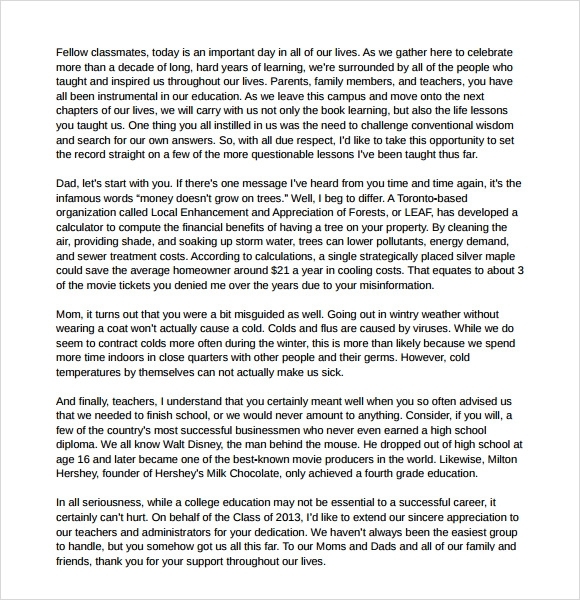 With the presence of the parents, friends, faculty, and other staffs, along with the members of the school board a student gives this speech. A representative of the teacher is also asked to give a speech on the same occasion. It is important to have a salutation speech because through this, the students express their sense of achievement, gratitude to the school and the friends. It is a memorable occasion and the speech makes it more memorable for the students. 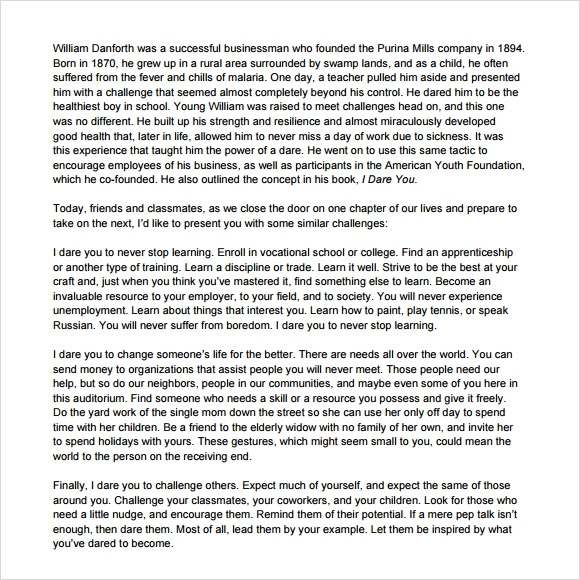 You may like welcome speech examples. 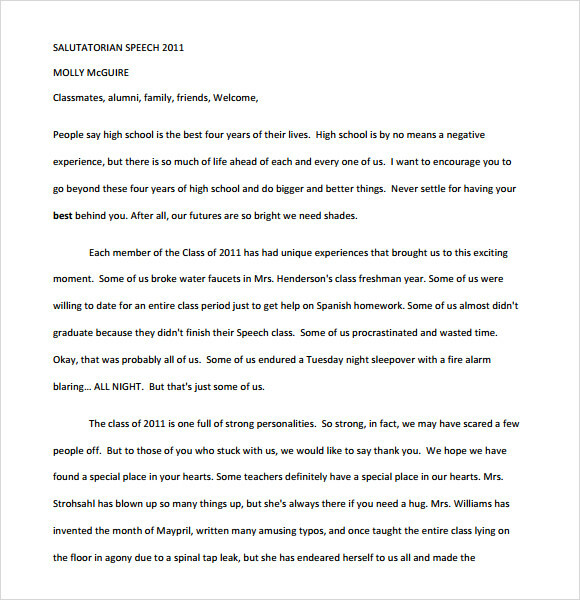 Who Needs Salutatorian Speech Samples? For the person chosen for the task, it might be difficult to give a speech in front of a number of dignitaries, their own family, and friends. 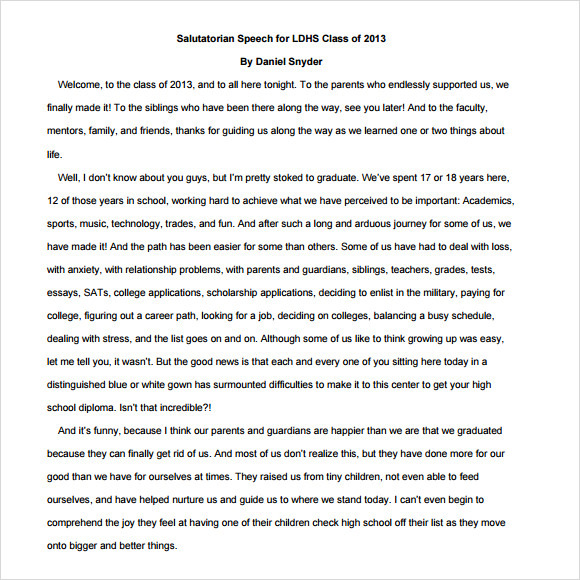 In such a situation, a salutatorian speech example could help them in writing their own speech. Following the example they can make a confident yet heartfelt speech for the occasion. You Can also see presentation speech examples. 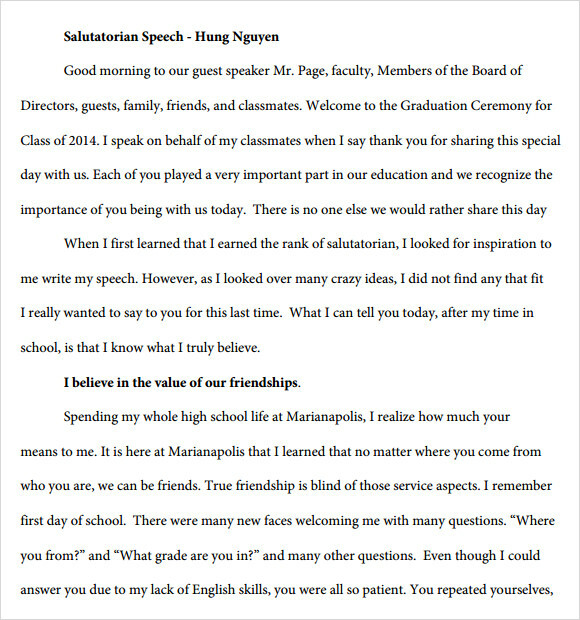 How To Write Salutatorian Speech Template?